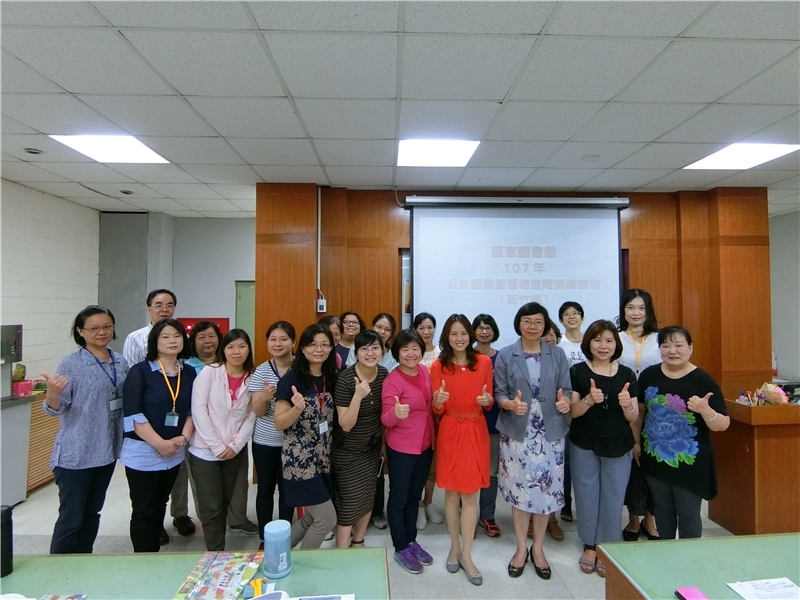 To assist in enhancing library services and the professional knowledge of library staff, the National Central Library (NCL) held the 2018 Advanced Public Library Management Training Program series. 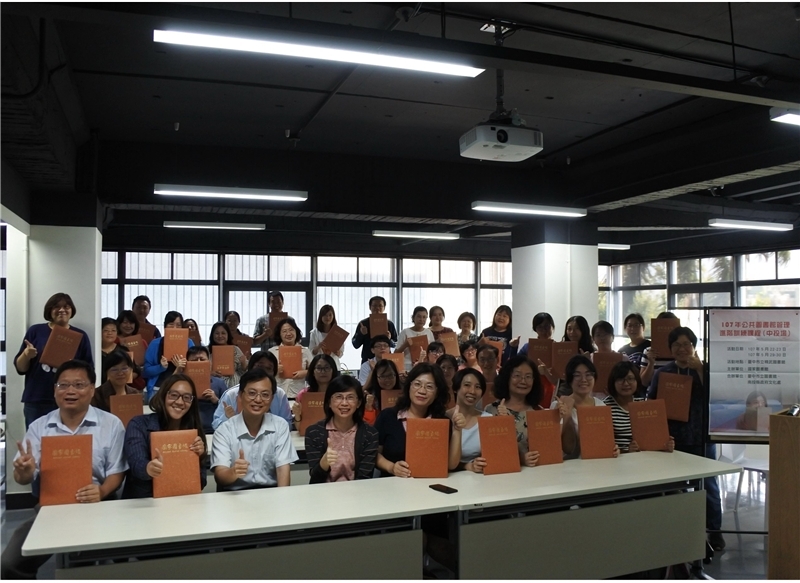 On May 22, 2018, the first session of the series took place at Taichung Public Library. 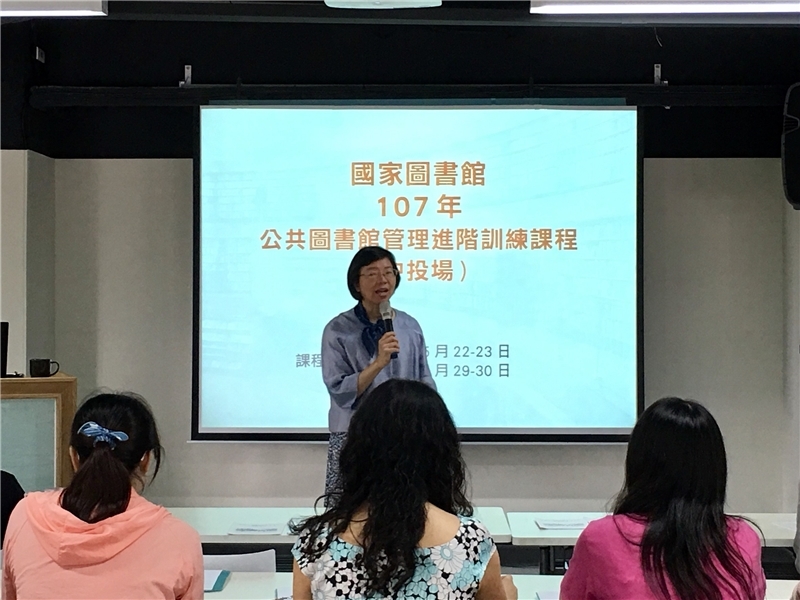 The NCL Director-General Tseng stated in her remarks that the successful development of Taiwan’s public libraries was reliant on the hard work and dedication of local library staff at the program’s opening. A group of experts and scholars in the field of Library and Information Science were arranged to give lectures for this series of advanced training. They delivered a rich and varied program, imparting the latest trends in library development, theoretical foundations, and their practical experience. The aim of the program was to enrich the professional knowledge of librarians, and thereby effectively enhance their libraries’ services. 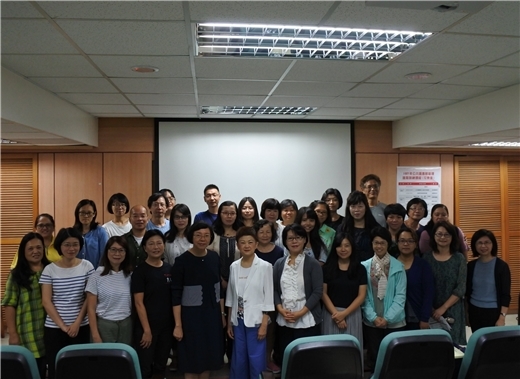 The second and third sessions of the program were held in Hsinchu (from May 27 to June 4, 2018) and Hualien (from June 23 to July 1, 2018) respectively for the convenience of librarians working in those regions, enabling them to beneﬁt from the program without having to travel too far.